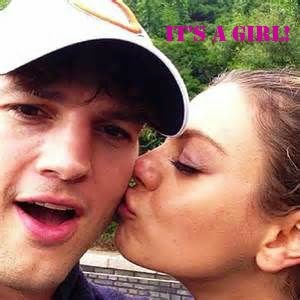 Mila Kunis, 30, and Ashton Kutcher, 36 are now parents to a cute baby girl! Congratulations to this happy couple! nobody can hide such an amazing news no matter how staunchly private you are. Mila Kunis and Ashton Kutcher just wrapped up their newest production — in diapers — Mila has given birth to a baby girl … TMZ has learned. Sources close to Mila’s womb tell us … Mila delivered Tuesday night at Cedars-Sinai — the hospital of choice for many celebrities. We’re told they arrived at the hospital Tuesday around 6 A.M. … and were taken right to a delivery room. They came by themselves — no entourage, no family. Sources tell us Mila delivered right on schedule … and delivered right around the Jewish New Year.